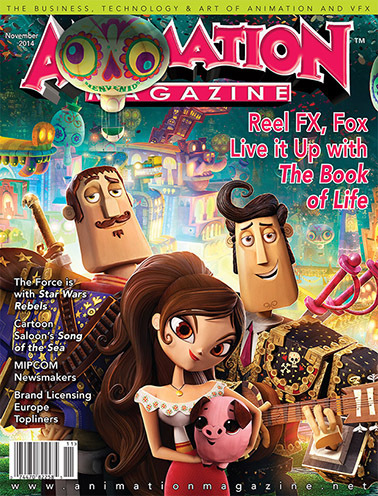 A Tome of Vim and Vigor - The Book of Life mixes modern conventions with Mexican tradition and brings director Jorge Gutierrez’s passion project to life. . Seals of Excellence - With their much-anticipated, beautiful 2D pic, Song of the Sea, director Tomm Moore and the team at Cartoon Saloon find inspiration in Ireland’s charming folktales. MIPCOM 2014: Quelque chose de Cartoons — It’s that magical time of year when Cannes, France’s Palais des Festivals (and any bars within walking distance) are jam-packed with content creators and buyers from across the globe, hoping to make the deal of a lifetime or snap up the next big thing. Brand Licensing Europe 2014 - Colorful characters from around the world will convene in London for the annual L&M confab.